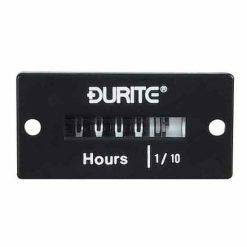 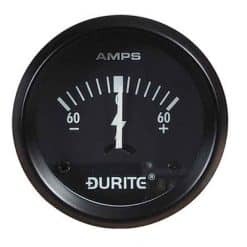 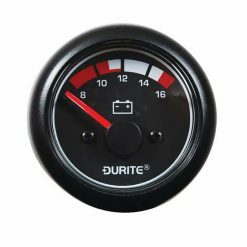 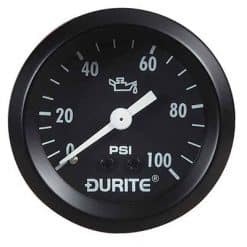 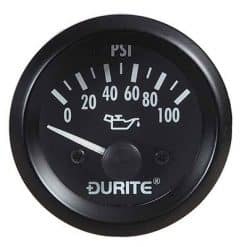 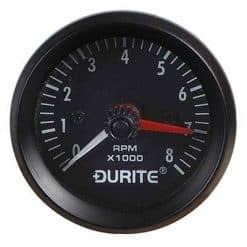 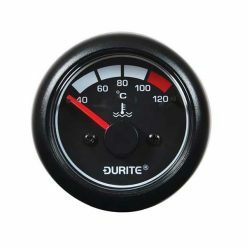 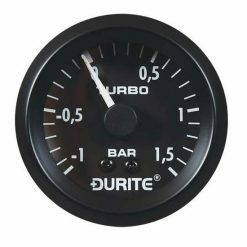 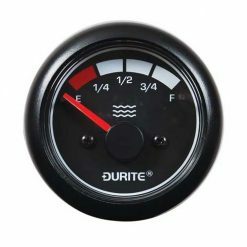 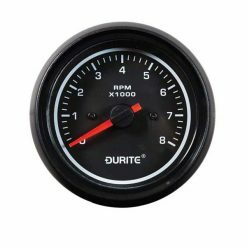 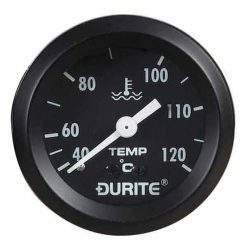 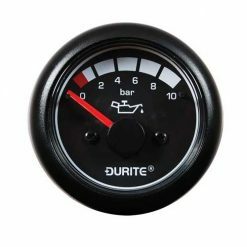 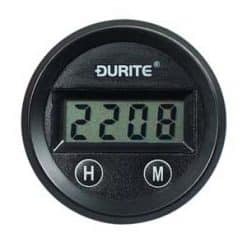 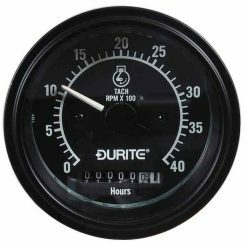 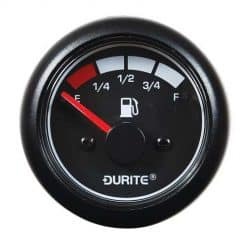 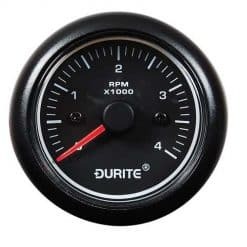 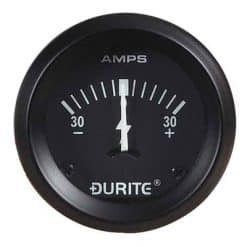 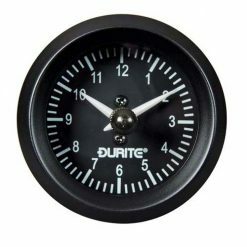 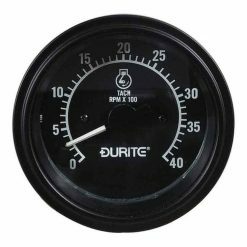 A range of illuminated 52mm electrical and mechanical dashboard durite gauges. 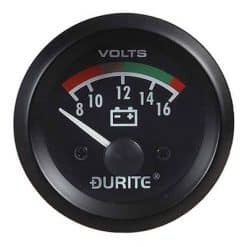 Matt black bezels and white figures with Bridge type fitting, comes in 12 or 24 volt versions. 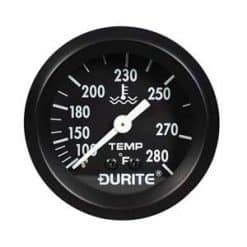 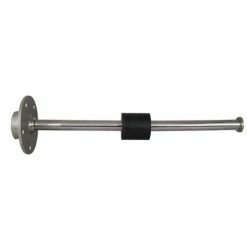 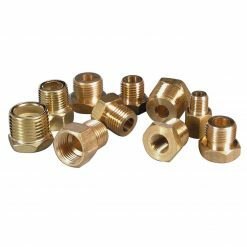 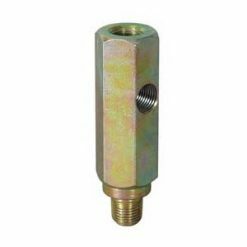 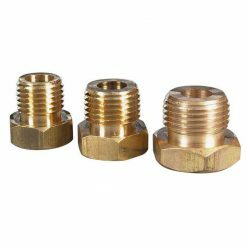 LED illuminated plastic cased marine gauges with large screw collar type fitting.